The new Zenith Series resident beds bring you the superior quality and features you’ve come to expect from Basic American. 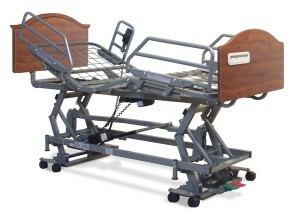 The Zenith 9000 provides comfort, safety, and quiet, efficient operation. With input from users, we’ve added even more functionality to ensure that your resident and caregiver needs are met. With wide kit, The Zenith can be 42 inches wide. The solutions, innovation, and features you need from the name you trust: Zenith… all at an affordable price. 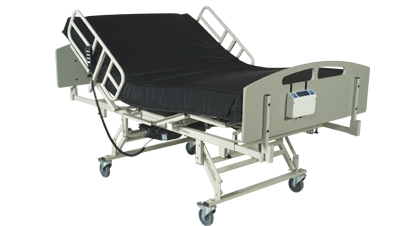 Height travel range: 7” to 30” – Straight vertical rise protects walls and maintains footprint. Sealed ball bearings ensure maintenance-free, continuous, silent operation. 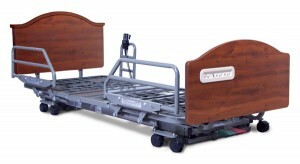 Bed provides 360° mobility at ANY height. Bed easily adjusts for use at 76” or 80” length. Maximum underbed clearance for use with overbed tables and lifts.